I've been a sick little person all of my life. Before I was diagnosed with cystic fibrosis, we didn't know what I had - but we knew I had something. We thought chronic bronchitis, allergies, chronic pneumonia - all manner of problems. I was also skinny. In 5th grade I was 40 pounds. Wet. Late in my 12th year, a sharp internist put everything together and decided that my problems were related - but he didn't know what they were... He sent me to Children's Memorial Hospital for a thorough work-up. On the day of my 13th birthday, I was diagnosed with cystic fibrosis. In 1973, when I was diagnosed, life expectency for a CF patient was 14 years. I beat that life expectency. In a year and a half, I'll be celebrating my 50th birthday. I didn't imagine making 30, much less 50. I don't know if I'll do it, but I'll sure have fun trying - but I think that a good aspiration for me would be to need a senior center... Beyond Children's Memorial Hospital, Rush, Northwestern, University of Chicago, Loyola and so many other institutions - Gift of Hope, Iowa Donor Network, OneLegacy, HRSA, UNOS and so many organizations had a hand in helping me beat that expectency. 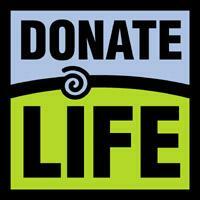 Even the Rose Parade and the Donate Life Float help spread awareness about organ donation. Whether they helped keep me here to receive it, or helped ensure delivery - they helped Kari give her gift to me. I wish she was here - I wish I could hug her... But I love that her beautiful lungs are wrapped gently around my heart. There is something so perfect about that. Being a senior citizen is an aspiration, that is, provided my princess doesn't sharply reduce my life expectency after seeing the pictures to the left... We found a photo booth in the mall in Pasadena. And while she was getting a pedicure and manicure this morning, I walked all over Pasadena looking for some place that might scan the resulting series. I found a wonderful lady over at OfficeMAX who was happy to help! In a little while, I'll get to see the float for the first time - and I'll get to place roses in the Family Circle Garden for Kari, and for Chloe & Chase... I'll tell you all about it. First off – I’d like to tip my hat to Scott over at “I am. Are you?” for his post yesterday about my impending trip to the Rose Parade! We’re going to try something a little new, starting today! Along with posting here at Revive Hope, and Scott posting at “I am. Are you?”, I’m going to do my best to keep a little video journal of my experience. In the future, I’ll try better to enunciate – and to keep it shorter… Scott implied that after 2 minutes, we all tend to fall asleep! And finally – a reminder! Tim Joos and I and Alison from Gift of Hope are scheduled to be on the WGN News at 9pm (Chicago channel 9) in a “Chicago’s Very Own” segment about Samantha and Kari and organ donation. The segment is tentatively scheduled to run on Friday, December 19th during the 9pm news hour.